Kingspan insulated roof and wall panels have been used to create a contemporary showroom for a high-end motorcycle dealership. Established in the mid-1960s, Webbs of Peterborough is East Anglia’s largest Yamaha, Triumph and used motorcycle dealership. To keep up with the growing demand for their products, the decision was made to relocate the business to a larger, purpose-built premise at Kingston Park on the outskirts of Peterborough. In addition to housing a range of new and used motorcycles and accessories, the new showroom also comprises a fully-equipped, state-of-the-art workshop to enable the company to offer their clients a comprehensive service throughout the life of their bike. Kingspan insulated wall and roof panel products provided the ideal envelope solution for the new showroom, providing the easily scheduled construction programme necessary on a busy industrial site without compromising the aesthetics. Situated in a prime location on Peterborough’s Kingston Park, it was important that the new showroom reflected the look and feel of the premium brands and high-quality customer service the company provides. The traditionally-industrial profile of the Kingspan RW Trapezoidal panels in Silver Spectrum, installed vertically, blend in with the surrounding industrial units. Meanwhile the horizontal Onyx Spectrum Microrib panels add subtle texture to the unit’s façade, redolent of the leather biker accessories. Darren Hillyer, Webbs of Peterborough Motorcycles. Kingspan RW Trapezoidal panels were used across the entire building envelope, providing guaranteed outstanding structural and thermal performance with a quick and reliable build programme. 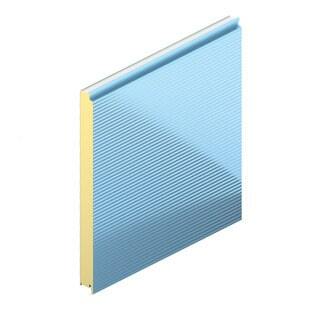 The panels are manufactured with a high-performance PIR core that can help to achieve U-values as low as 0.14 W/m2K. Meanwhile, a systemised approach and factory-engineered jointing simplifies detailing, allowing the installers to minimise thermal bridging and to create a highly airtight envelope. The panels do not require secondary steelwork, such as sheeting rails, therefore achieving a faster on-site build time than would have been possible with heavier and less-cost effective systems. The installation time enabled the envelope to be made watertight and the internal fit-out to commence, allowing the company to establish itself in its new location more quickly. Like any good motorbike, Webbs Motorcycles new showroom is built to last. 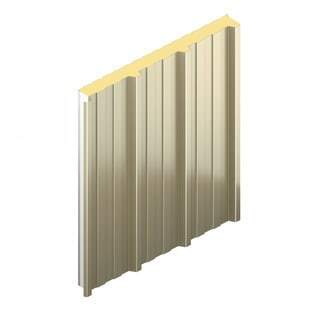 The Kingspan Spectrum external coating applied to all the panels uses metal alloy substrates to provide maximum resistance to corrosion and a robust barrier against the elements. Meanwhile, its UV-resistance and gloss retention paint technology will keep the building looking its best for many years to come. The insulated panels installed on the project are manufactured to meet the BRE Green Guide to Specification designation of ‘long-life’ with a sustainability rating of A+; requiring little maintenance and offering full recyclability at the end of their life.